England being the Head of the State. The country’s capital and seat of the government is at Basseterre on the larger St. Kitts island. This scenic country is connected with different parts of US, Europe, and the Carribbean. The Citizenship-by-Investment Program in St. Kitts and Nevis was established in 1984. This Program is currently the oldest such program in the world. The Citizenship by Investment Unit follows rigid investment requirements and conducts meticulous due diligence to attract investor citizens of good character. Visa free travel to all Schengen Area. Simple Procedure with minimum government formalities. Option to include family members in the application form. Compulsory insurance fund contribution and conveyance fees for real estate purchase 4-5% of the purchase price. Physically or mentally challenged child aged older than 18 years. Dependent parents or grandparents of applicant or spouse older than 55 years. The application process will be completed within 90 days. Delays may occur due to processing and background checks. Proof of residential address and marriage or divorce. Copy of executed real estate contract. Evidence of title transfer after receiving approval in principle. More detailed documents requirements are here. 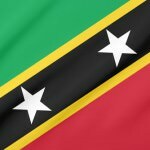 Read latest news about Saint Kitts & Nevis Investment Immigration by clicking here.